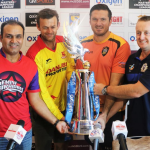 The Gemini Arabians prepare to face the Sagittarius Soldiers in the first semi-final of the Masters Champions League T20 in Dubai today (start 5.30pm SA time). Graeme Smith’s tentative appetite for international cricket must have been whetted when he slammed 57 for the Virgo Super Kings in the Masters Champions League. The lure of Jacques Kallis is undiminished, despite his absence from the mainstream game. He was designated an ‘Icon’ in the Masters Champions League T20 auction and sold for $175,000. Of the 17 South Africans who started the 2015 Indian Premier League, more than half are heading back to SA following the completion of the group stage. How did the nine Protea dropouts fare? 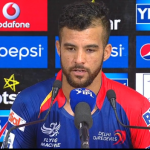 JP Duminy’s Delhi Daredevils lost for the fourth time in a row on Saturday, all but ending their hopes of progressing to the playoffs with a six-run defeat to the Sunrisers Hyderabad, while the Kolkata Knight Riders edged over the line thanks to a one-wicket victory over the Kings XI Punjab. In an entertaining day of IPL action, the Sunrisers Hyderabad held on for a seven-run victory over the Rajasthan Royals, while the Kolkata Knight Riders were also successful in the defence of their total, beating the Delhi Daredevils by 13 runs. 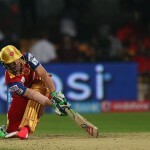 Faf du Plessis’ Chennai Super Kings climbed back to pole position in the IPL standings – and maintained their unbeaten record at the MA Chidambaram Stadium in Chennai – after they defeated Royal Challengers Bangalore by 24 runs on Monday. The eighth Indian Premier League starts on Wednesday. 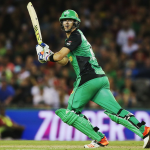 We break down the teams and give you the statistics on all the South African players.